Of all kitchen appliances, the fridge is the most unwieldy and consequently the most difficult to place within a compact kitchen space. Fridges take up a huge amount of space, and can seem almost impossible to integrate into a crowded, cramped or cloistered kitchen. Depending on the size of your space, you will probably have to purchase a refrigerator that suits both your kitchen as well as your food storage needs. 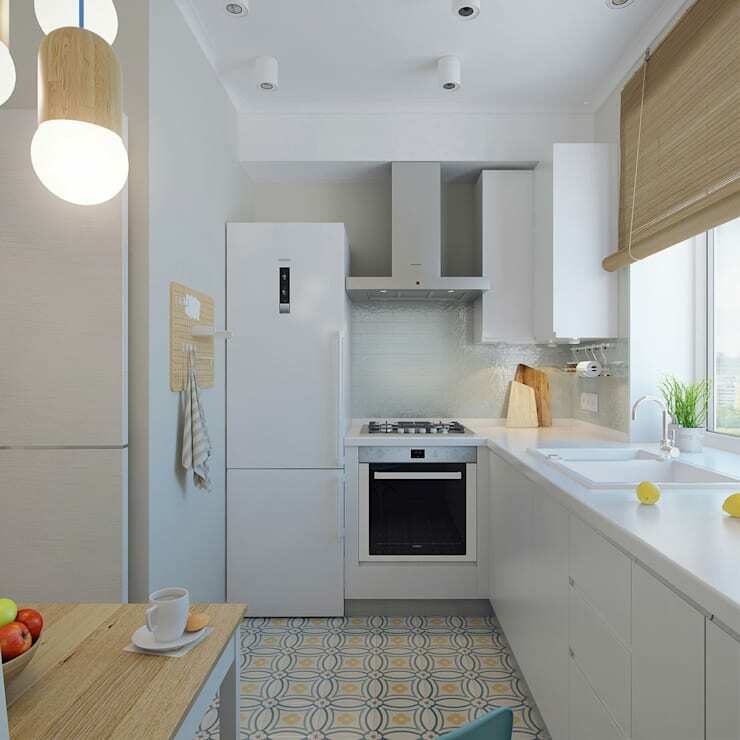 To provide assistance and offer a few design ideas for your tiny kitchen we’ve gathered our top 11 ways to incorporate a fridge into a compact cooking space. 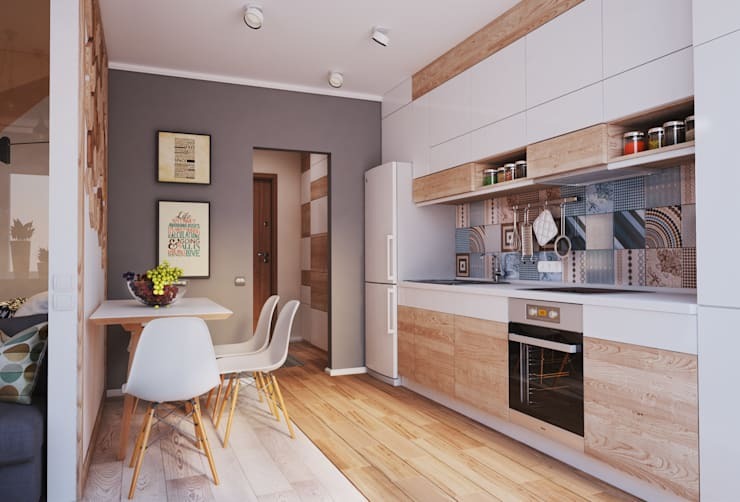 Creative, unique, stylish and innovative; we have a range of options that are sure to suit your dwelling, as well as offer chic design possibilities and opportunities. Would you like to learn more? Read on below and pick your favourite design! 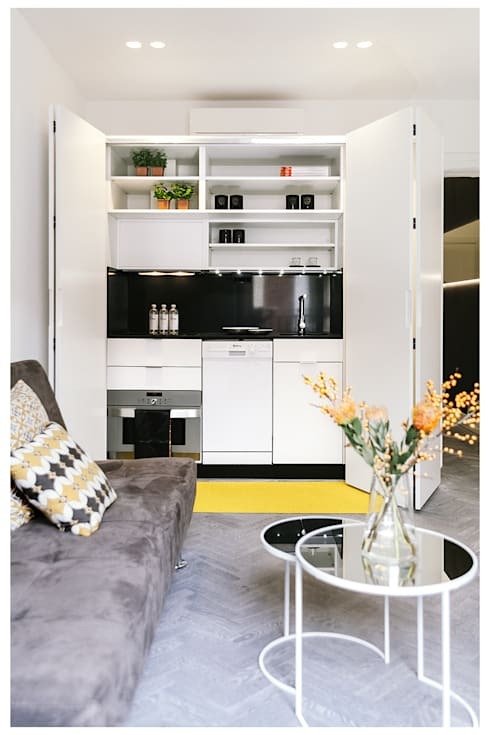 This is definitely one of the finest compact cooking spaces we’ve seen, and works wonderfully with a simple bar fridge that designers have tucked away in the kitchen island. Coordinate your fridge with your décor by pairing a cupboard or joinery of the same hue. 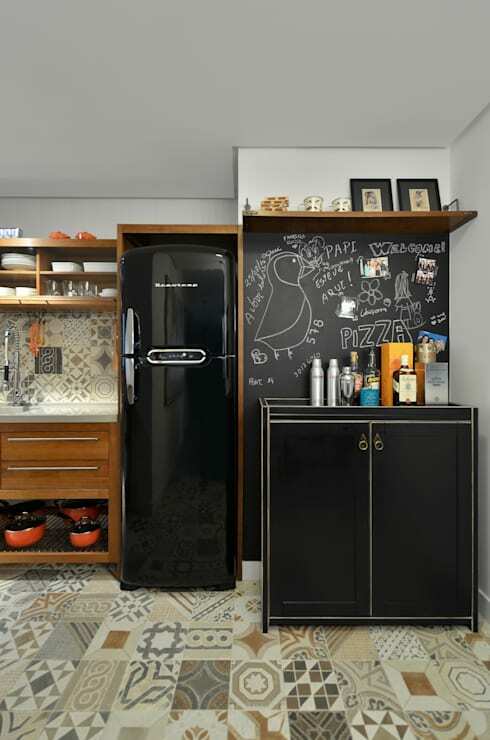 Subtle and refined, the refrigerator is definitely a statement, paired beautifully with the chalkboard wall. From Maison Du Bonheur this all in one setup oozes simplicity and minimalism. 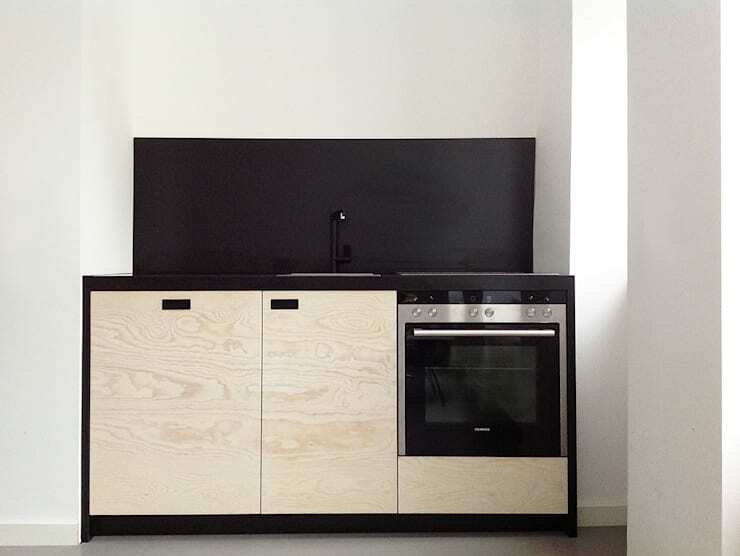 Hide your bar fridge, by tucking it away in a sleek, custom made unit. Make a statement with your fridge and place it just outside of your kitchen. 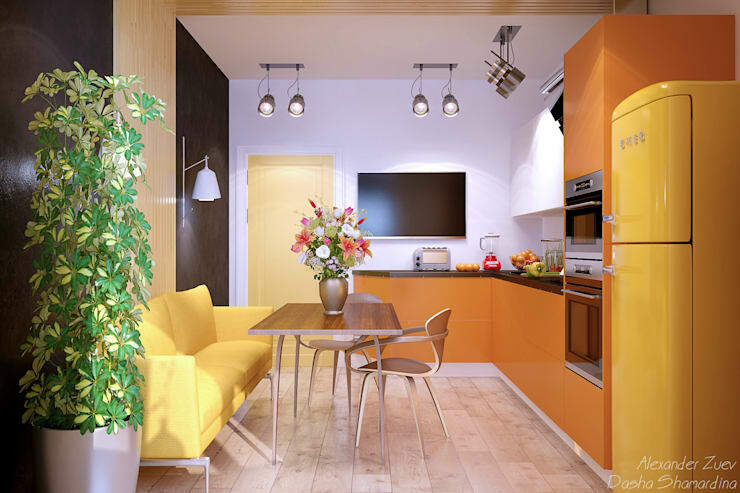 This works well as the appliance is a bright yellow hue that coordinates gorgeously with the citrus décor. 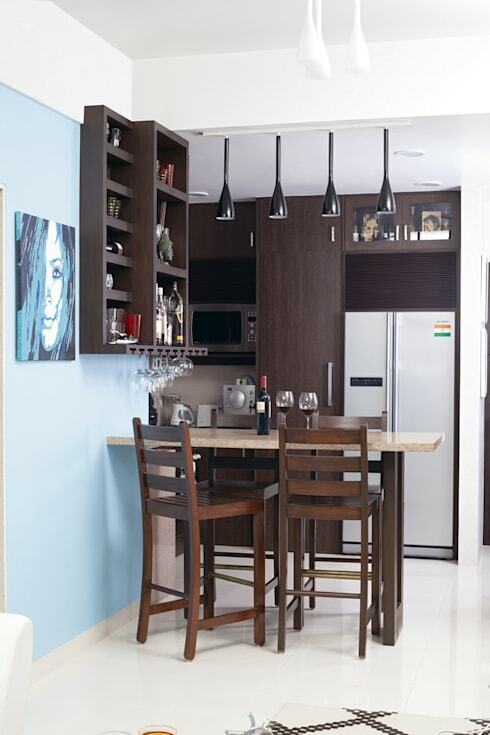 Opt for a slim and slender fridge if your cooking space is small. This example is a perfectly bright kitchen that looks elegant, characterful and graceful. If you have a smaller kitchen it doesn’t mean you have to sacrifice a larger fridge. This compact kitchen manages both tasks simply and with effortlessly style. 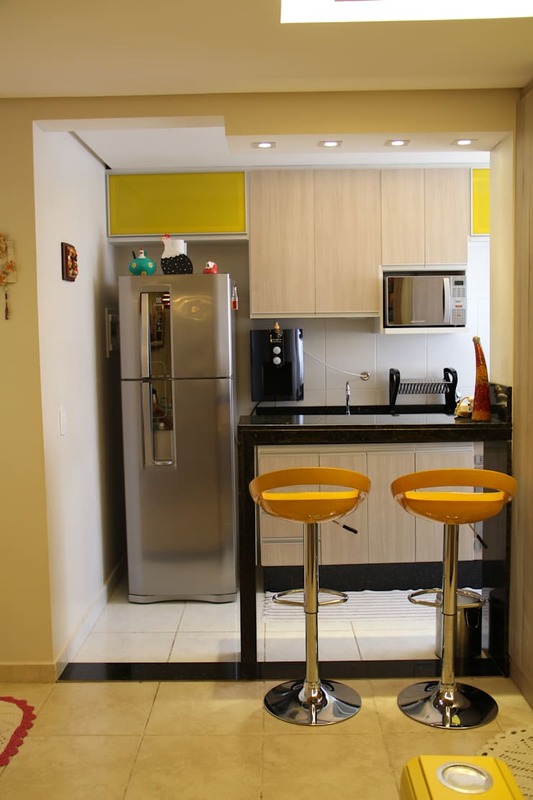 Minimising your refrigerator’s impact is a good idea in a small space. Choose a silver or stainless steel model, or cover it with a contact, pattern or motif to give it a new (prettier) lease on life. If you have the luxury of building a new kitchen from scratch, you can customise your joinery to fit your fridge seamlessly. Just remember that you may change your fridge at a later date, so the gap should be a standard size if possible. 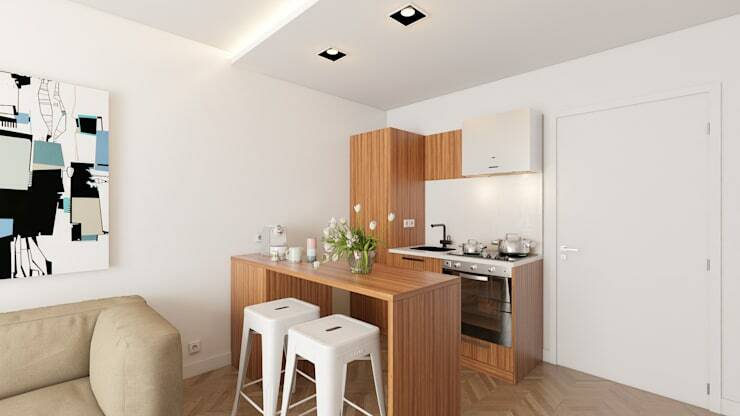 Create a kitchen that is hidden altogether with a design like this one. 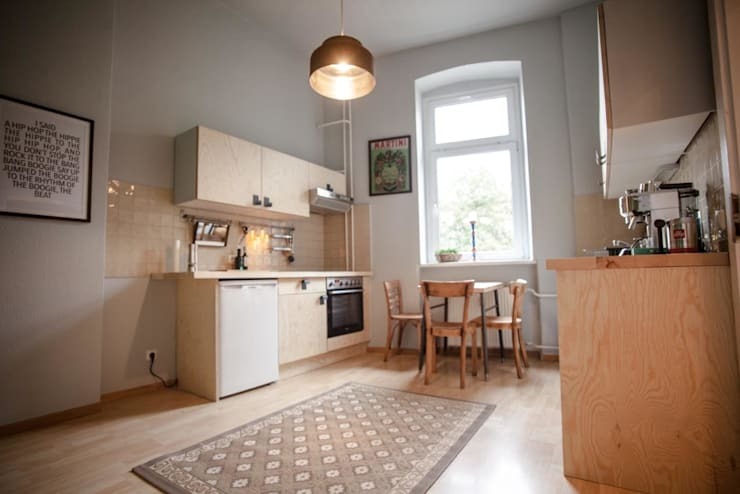 All the appliances are tucked away and the space feels minimal and tidy. A brightly coloured fridge such as this pink model works as a wonderful centrepiece for this compact kitchen and looks effortlessly cute. Who needs a large fridge anyway? Choose a small design such as this, and leave a space at the side should you require more cooling space in the future. Do you need some more kitchen inspiration? Check out: 14 simple and affordable kitchens for you to copy and keep reading! Do you have any more tips or tricks for our readers? Add them below!